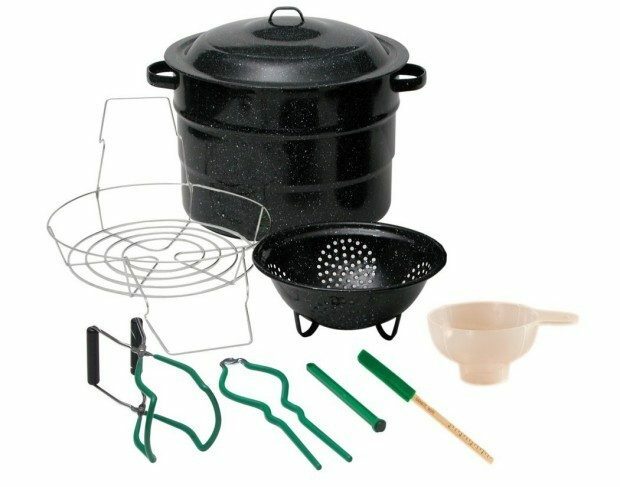 Granite Ware Enamel-on-Steel 9pc Canning Kit Just $29.64! Down From $70.99! You are here: Home / Great Deals / Amazon Deals / Granite Ware Enamel-on-Steel 9pc Canning Kit Just $29.64! Down From $70.99! You can get this Granite Ware Enamel-on-Steel 9-Piece Canning Kit for just $29.64! Down from $70.99! The ratings and comments are great!